Cauvery Home Stay Thalathmane is located about 1 kilometer from the town. Cauvery Home Stay Thalathmane is one of the perfect getaway destinations in Madikeri. 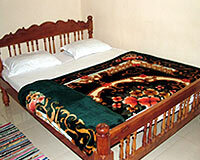 The hotel is located in a serene locale providing panoramic view and homely atmosphere. The backdrop is filled with hypnotic chirping of colorful birds and misty morning. Guests can enjoy barbeque along with bonfire in the evening. Efficiently equipped with modern amenities and excellent services the Cauvery Home Stay is delightful home away from home. 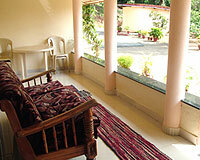 Cauvery Home Stay offers well-appointed rooms. Some of the in-room amenities are attached bath and hot/cold running water. 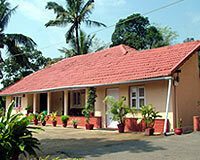 Cauvery Home Stay has one specialty restaurant serving Vegetarian, Non vegetarian and Coorg traditional food.